Few names in the cloud computing space carry the same clout as Amazon Web Services (AWS) does. However, it’s generally the view that relying on a single cloud provider is bad policy, especially when concerns arise around business and data continuity – even given AWS’s wide product line and historic reliability. 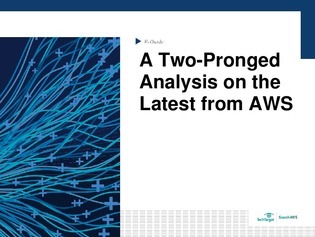 Inside this E-Guide, read through the thoughts of two AWS cloud experts as they analyze some of the latest offerings from the company – managed cloud services and a vSphere-targeted relational database.